Curtains save energy required to cool and heat your greenhouse. Shade fabrics are designed to reflect excess sun back out the roof, reducing solar gain. 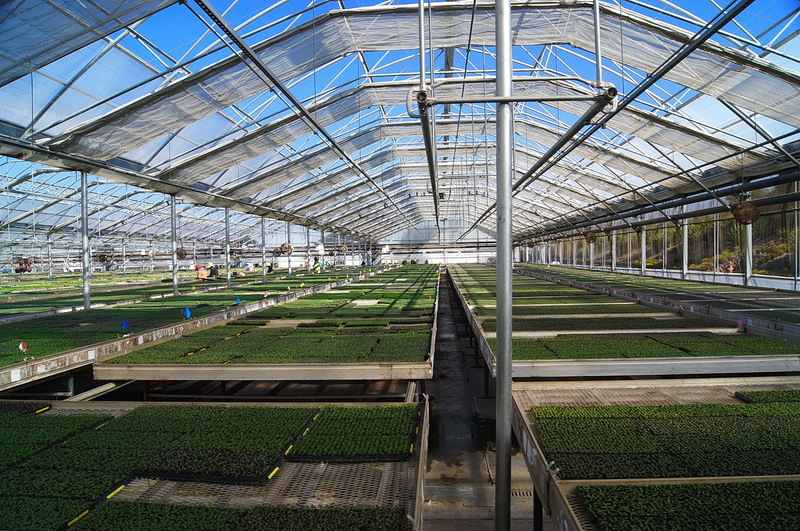 Thermal curtain fabrics are designed to hold the heat in the greenhouse on cool days and overnight. Most fabrics have both shade and thermal value. 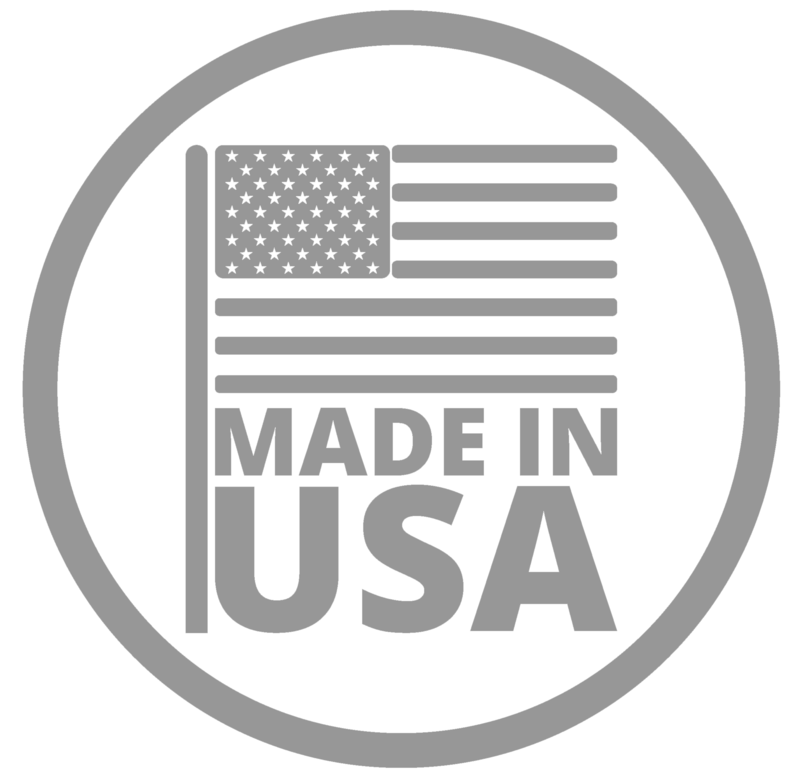 For example, Svensson's XLS 50 Harmony fabric provides 46% light diffusion, 50% shade, and 45% energy savings used as a thermal cover at night. 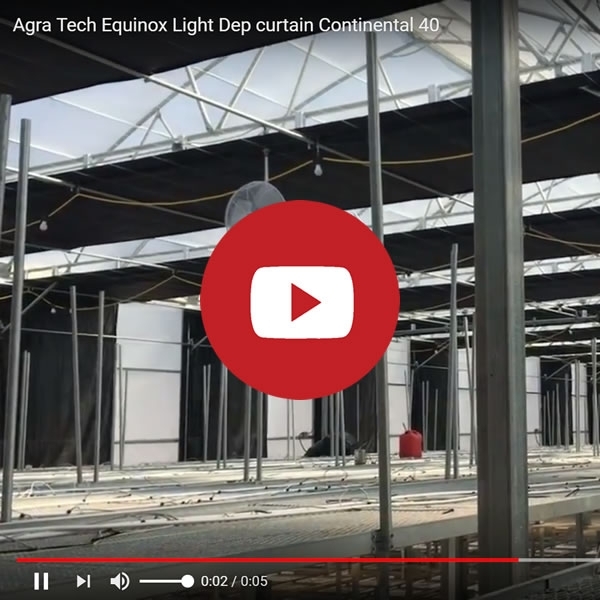 The Energy Curtain is a Retractable interior ceiling curtain system manufactured by Agra Tech for Agra Tech Greenhouses. Agra Tech Structures are factory punched to accept the Energy Shield. 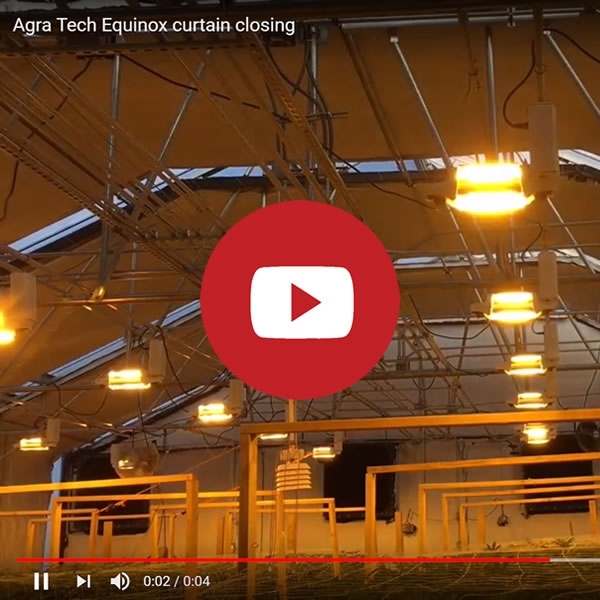 The features built into our curtain systems improve growing environments, increase energy savings, enhance space utilization, and assure reliable performance. Available in Slope-Flat-Slope or as a Flat system. Computer or manually controlled, powered by Agra Tech certified motor/gearboxes and controllers. The Energy Shield curtain system can be retro-fitted into non-ATI houses. A dryer growing environment is maintained due to the air mass below the curtain that allows excellent air circulation. Better energy savings are realized because of the small air space between the curtain and the glazing. Push-pull describes the drive mechanics of the system. It is a high strength, low friction, rigid system requiring little maintenance. The curtain is pushed and pulled to open and close. 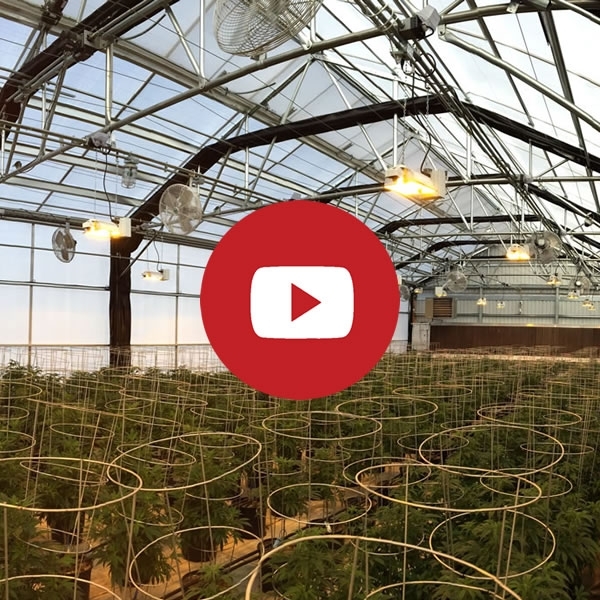 Continuous 1 3/8" pipes run from end to end of the greenhouse connecting the entire system together. They are driven by steel racks and pinions and supported within low friction roller guides.